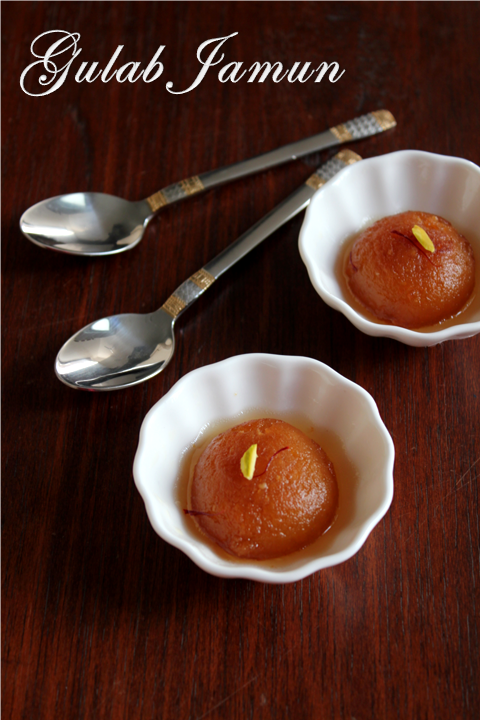 Almond Basundhi is a new sweet i discovered from Tarla Dala's Website.I wanted to make some Indian sweet with half a can of Condensed milk so i was searching for the recipe and i found this interesting.It is very very simple to make and rich in taste also.HAPPY NEW YEAR TO ALL OF YOU!!!!! 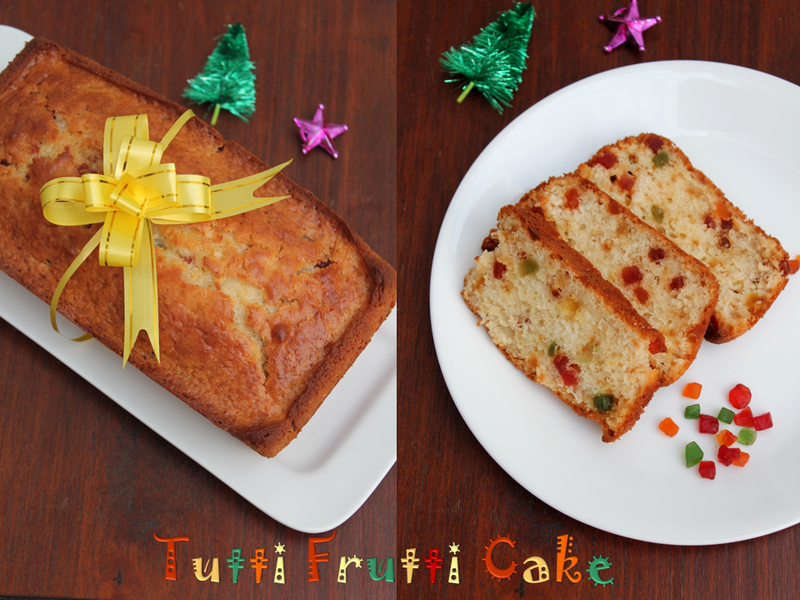 I have been trying out baking recipes slowly one by one.I thought i will make Plum cake for christmas but this tutti frutti cake is a long pending one and my kids preferred this one so i thought let me do this.I did a little bit of running around for tutti frutti in the morning it was not available in most of the stores(may be christmas time)finally i found it in nuts and spices.It was a good experience baking after a long time!!!! 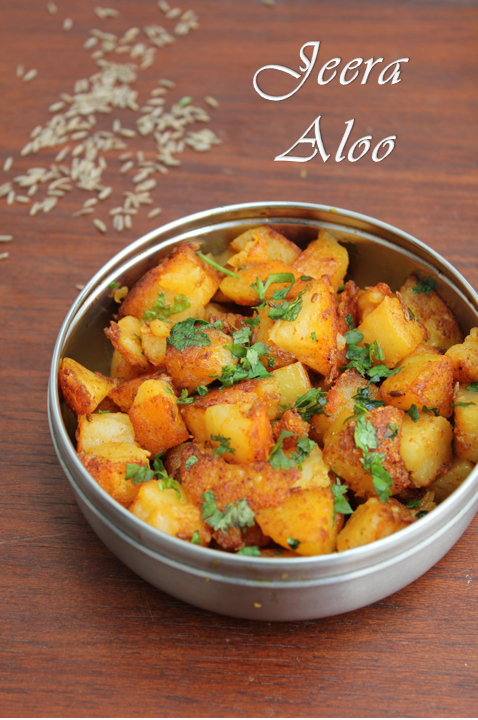 Jeera is nothing but Cumin seeds and Aloo is potato.This Jeera aloo subzi is a very popular north Indian subzi with Potatoes Tossed with Cumin seeds and few other spices.People usually make it during fasting period during festival and pooja times becuase this has no onion or garlic and potatoes are filling and cumin seeds are very good digestive. I am making this subzi along with some dal for roti and rice.Since the subzi is dry it is always accompanied with some kind of Dal.You can drizzle some lemon juice and have it (as a starter) with some sliced onions it tastes heavenly!!! 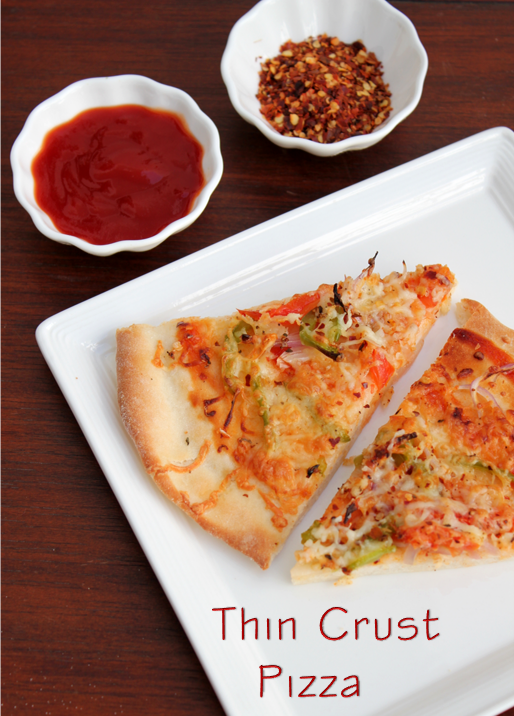 Thin Crust pizzas are the 'in thing' now.Even my kids prefer it to a thick and cheesy pizza.We have taken to it after trying it out in restaurants like "Little Italy" and "Tuscana". I'm a fan of pizzas with Pineapple on it. 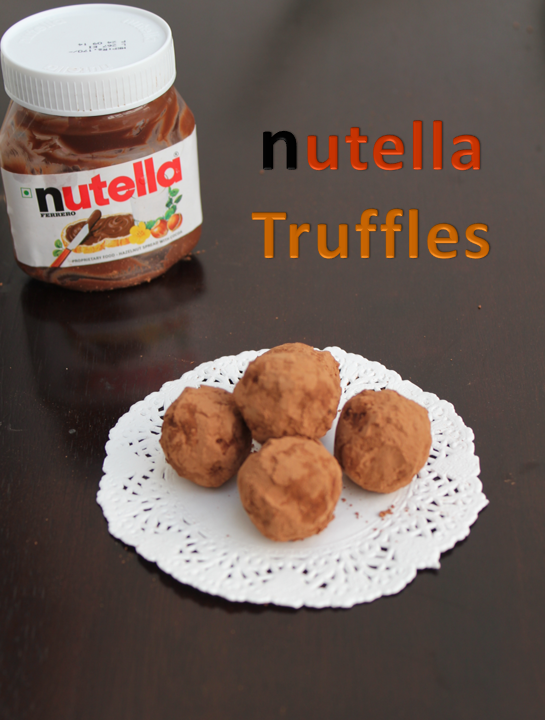 Of course you can try whatever topping you want but the base recipe remains the same. I can call this kootu as my "family dish" yes my kids love this kootu especially when my MIL makes it.Itseems my husband used to love it when he was a kid and she used to say the same story to my kids and they also started loving it.So it is a compulsory dish that she has to make whenever she visits us. 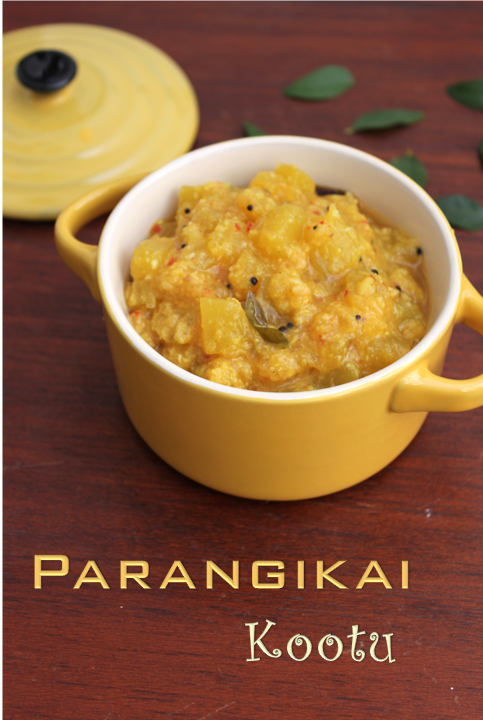 It tastes best when the Pumpkin is tender.I got this Tender pumpkin from my neighbor from his farm and i am trying different recipes like Thogayal,Gothsu etc out of that. Carrot rice is not something that everyone makes often!! 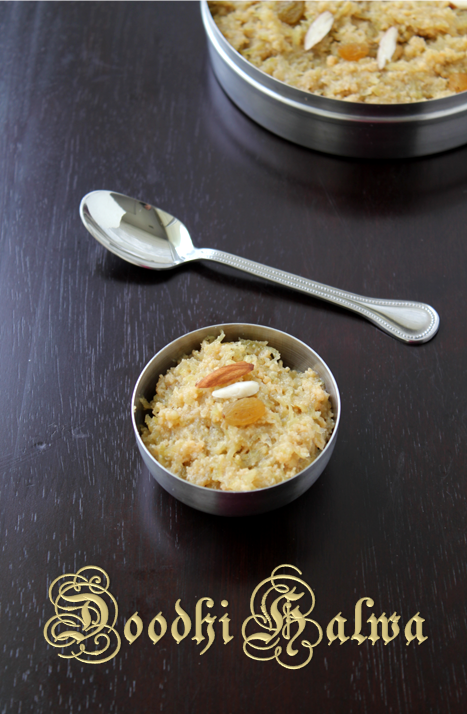 I do not make it often either, but when you need a variety or something for your lunch box this rice recipe comes out. 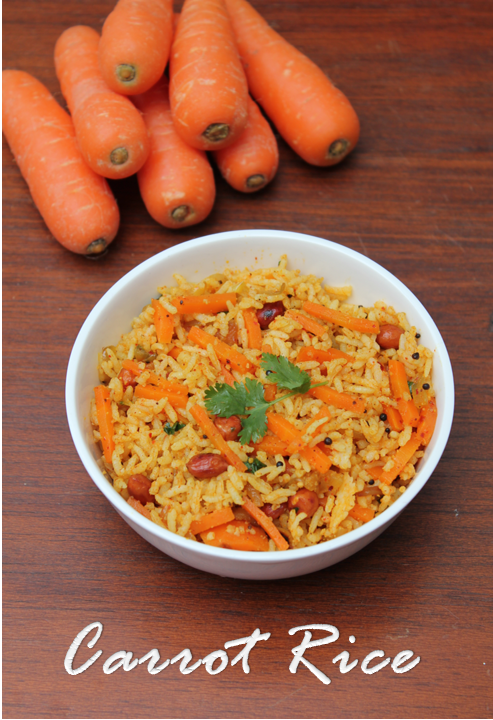 My recipe for carrot rice is a little spicy version, but you can make it mild without grinding the masalas for a party with many dishes.If you are making it as a single dish might as well make it spicy and tasty and have it with raita and chips. Apart from making Nel Pori Urundai and Aval Pori Urundai, we make Appam and Adai in the evening when we light the lamps on Karthigai.I have already posted Pori urundai and appam recipes before and Adai was the only one left. 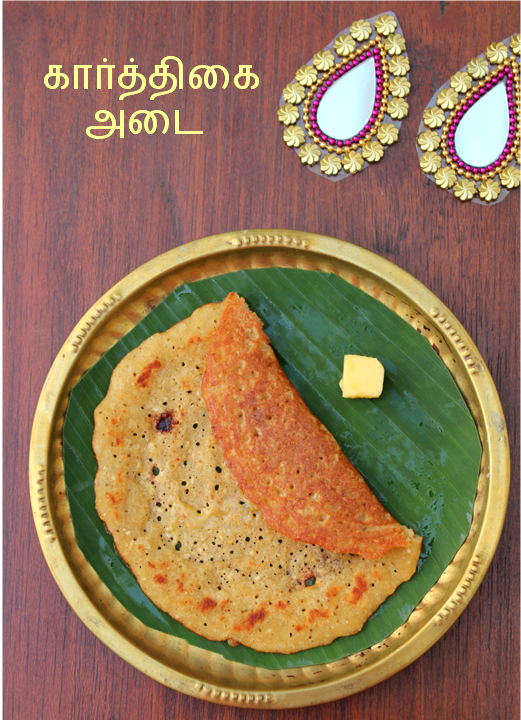 We make this adai with raw rice(pacha arisi) because it is for neivedhyam (we do not use boiled rice for neivedhyam) and we make two types of adais - one is sweet with jaggery and the normal adai with salt and chillies. 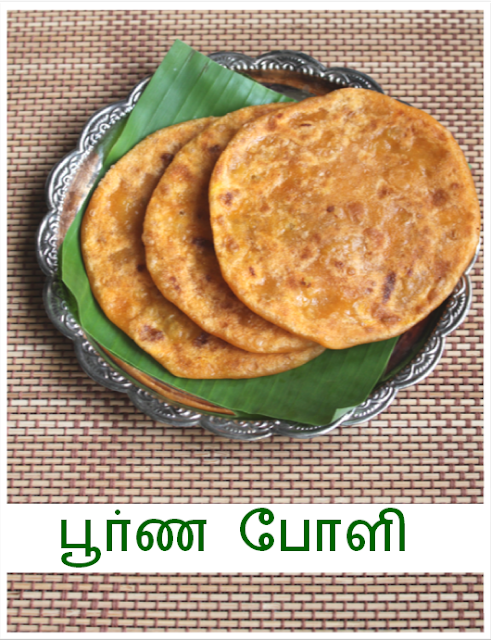 I have made the dough common for both,divided it and added ingredients for sweet and salt adai.You can judge according to your requirement and divide.Usually sweet adai does not sell much in my house so I have just used one fourth of the dough for it. 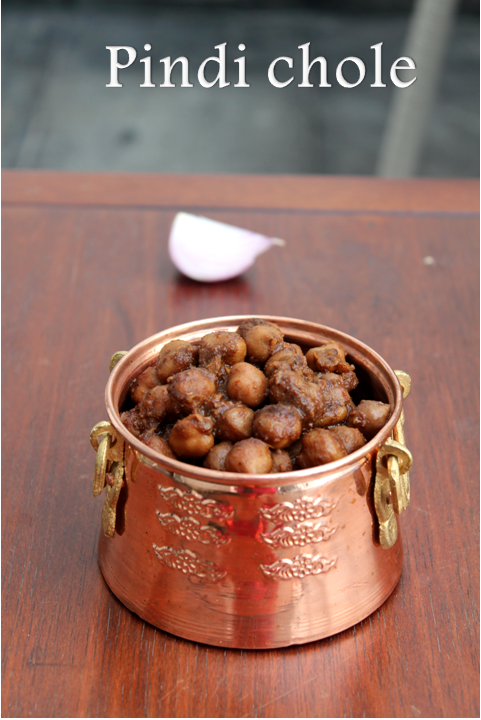 I have tasted this Pindi chole when i was little and i used to wonder why this channa is so different in colour and where the colour came from??? ?Later when i started cooking i learnt from my North Indian friends that they put Tea leaves or Tea bags while boiling the channa. Anyway it used to be very different from the normal channa i did not even realise it is made differently and callled different.Now i have started making with Bhaturas!!!!! 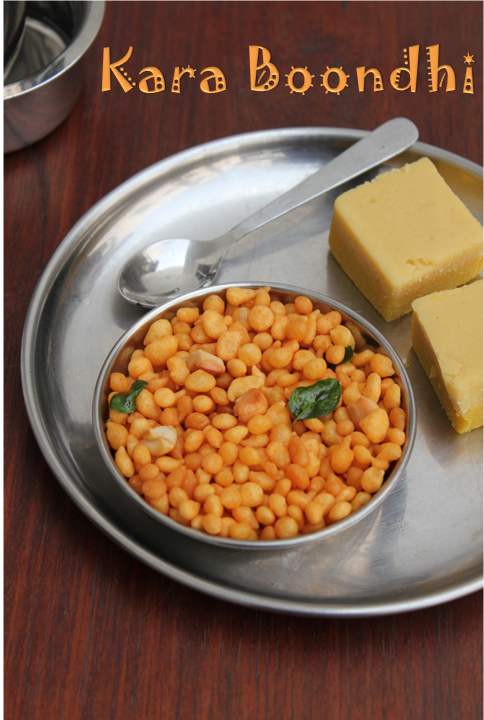 I like the tangy taste in this channa and it is best suitable for Bhaturas!! 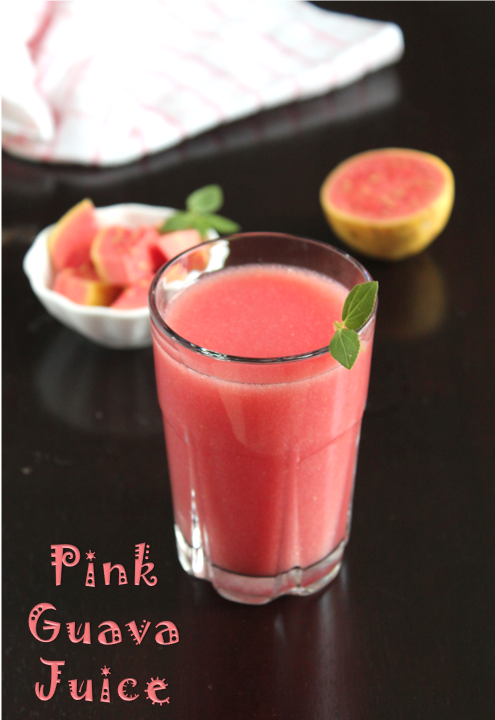 !It is a little dry so it can be had like a snack or a sundal along with some chopped onions and lemon juice. 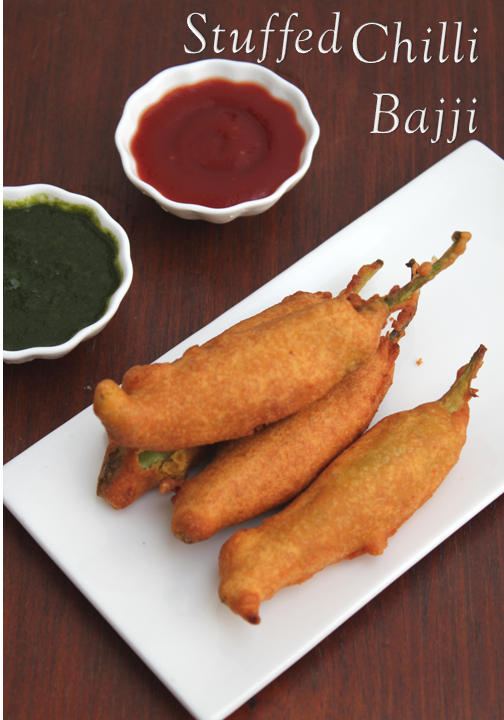 Mirchi or Chilli Bajji is a popular Indian Fried snack. 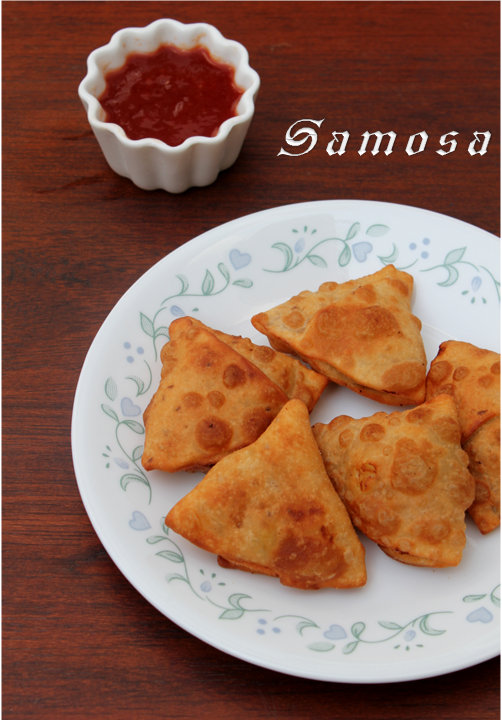 It is an ideal snack on a rainy day with a cup of Masala Chai(Tea).I have tried this Bajji with a stuffing of potato and a little bit of Paneer. You can create stuffing as per your taste and liking. It came out good and tasted great. There is no better or tastier way to make the kids eat Bananas.Especially when it is really ripe, no one will touch it in my house. 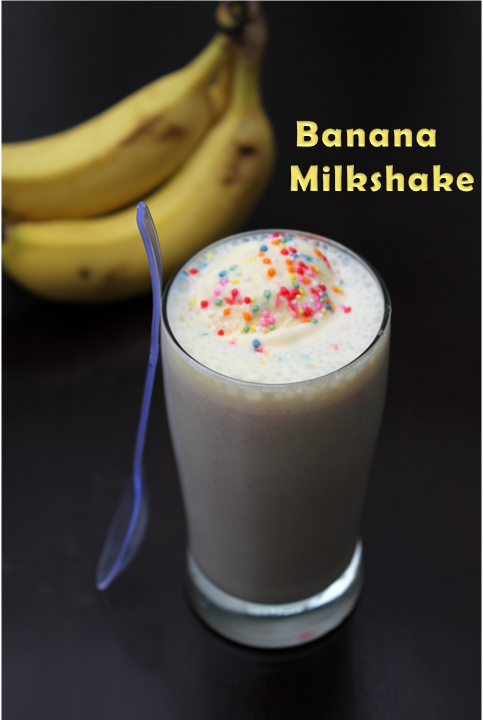 I will just chop and put them in a mixer and make a tasty milkshake with a dollop of ice cream in it and a few decorations on top and even before you realize, the bananas are over. A healthy and effective start to the day ! 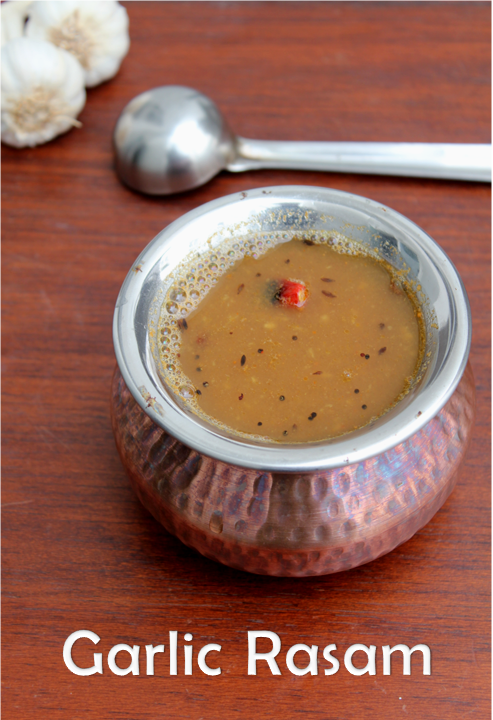 Garlic rasam is one of my favourite rasam.My mother used to make it once a week especially on Sundays when everyone is at home more for its medicinal values. It helps in digestion,cough cold etc.sometimes she just used to add some boiled garlic to the normal paruppu rasam.My aunt(athai) is a specialist in making this Garlic rasam.She used to make it with two other spices "kandathippili" and "Arisithippili".She used to make it really spicy and mix it with some mashed rice and ghee and make us drink in our empty stomach so that we feel really hungry for sunday feast!!!!! 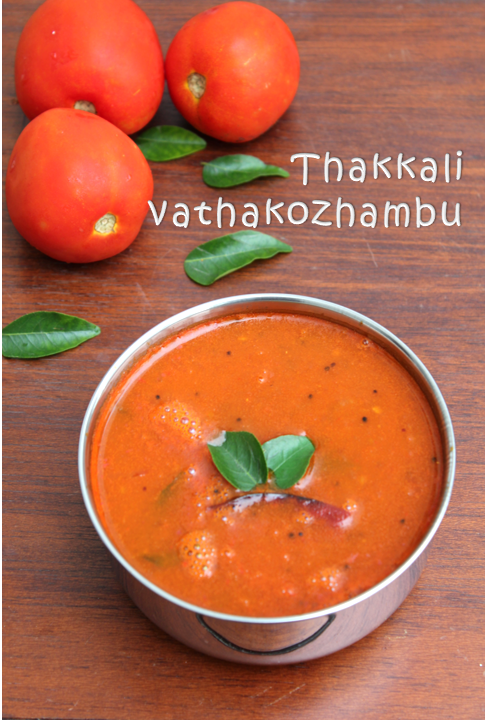 Now it is plenty of Red Tomatoes everywhere i wanted to make this kozhambu.All of us in our family, my aunts and uncles are fond of Tomatoes and we have an extra doze of tomatoes in all the dishes.My aunt makes this vathakozhambu with tomatoes.It brings down the spice of the vathakozhambu and it is very tasty.It is a variation from the normal vathakozhambu and a treat to those who love tomatoes. 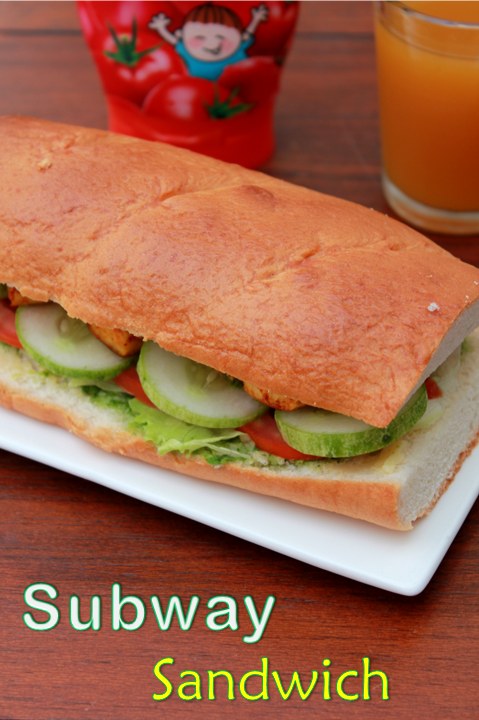 "Sub" my way yes this sandwich is truly my imagination.I always like a little spice and Indian taste in my sandwiches.I got this bread in spencers stores and tried this sub.It tasted yummy especially with the tasty "paneer tikka"so i thought i should click and post it if you also like it pls try it out it is so yummy!!!!!!! I have not mentioned the amount of ingredients because it is up to our taste and depends on how many sandwiches you are going to make. Cauliflower is one of our favourite vegetable.Now because of its availability it is very fresh and good.It is a very good choice for making north Indian gravies and subzis to go with all types of Indian breads.I am sure the north Indians make a hell lot of them.I have tried a few and few south Indian gravies and subzis and Cauliflower "Sadam". 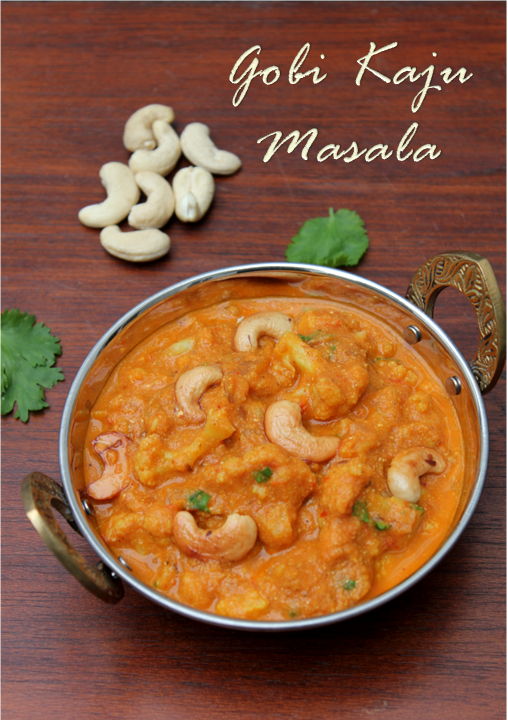 I have eaten this subzi in a restuarant it was called gobi kaju mawa curry.Cauliflower and cashewnuts in a rich cahew gravy and mawa or milk fat added to to it.I have tried to make a simpler version of that.You can add some creme or mawa to the gravy at the stage when you add curd. I have always included ragi flour in my chapathi flour(wheat flour)to make chapthis daily and tried the ragi kanji sometimes but i have not tried any other recipe.I have just started making dosas with ragi flour.Considering its health benefits i include ragi in my dishes and make things out of ragi flour. 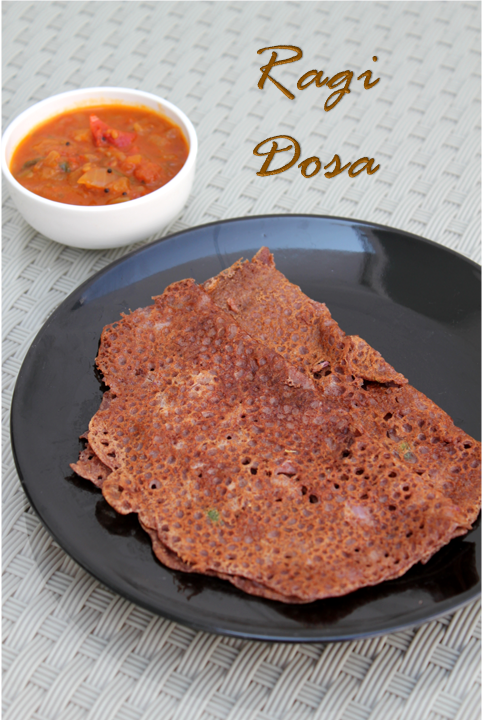 Ragi dosa is a easy to make and it tastes best when eaten hot.It takes a little longer to cook than the normal dosa.You can add a few tbs of ragi flour to our normal dosa dough and make dosa too.Include ragi flour in your dosa and chapathi dough and enjoy its helath benefits. 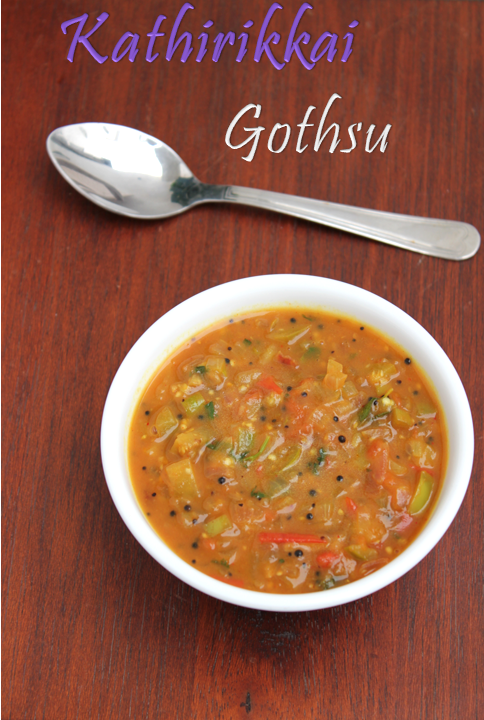 One more favourite dish of my family.My grand mom used to call it "nellore kozhambu"don't know why? 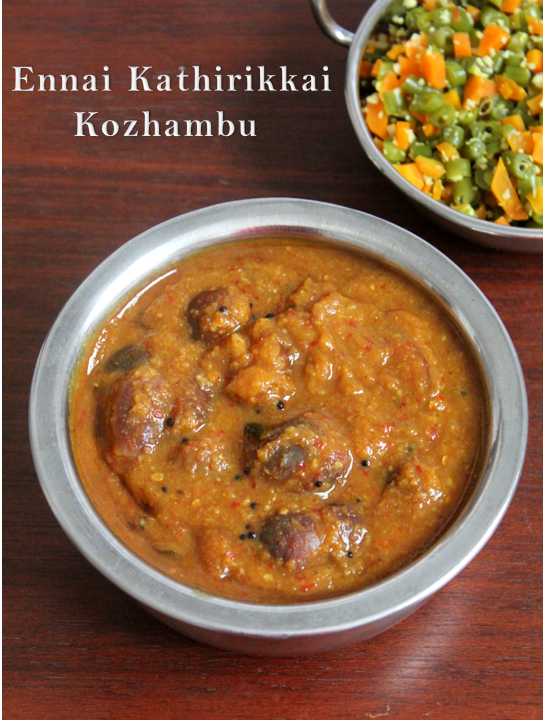 ?I think it resembles Andhra food and it is a little "spicy".If you keep the ingredients ready it is quiet simple and fast to make.We used to pester my mom to make this kozhambu with more kootu and some curry. You can adjust the spice level according to your taste reduce or increase the number of chillies and adjust the consistency if you want it thick or little watery. 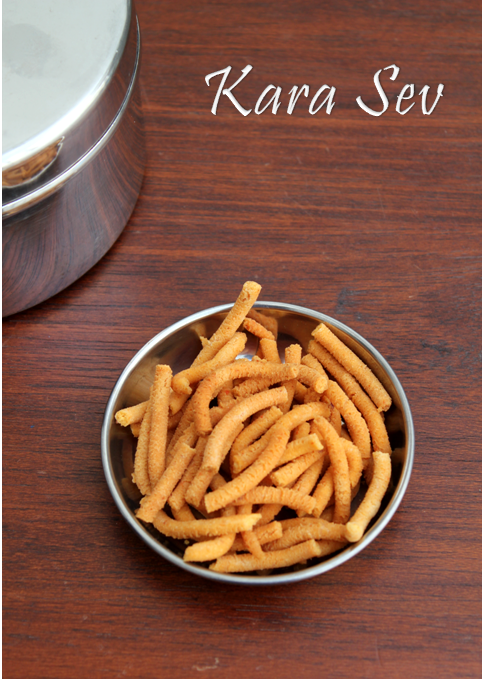 Kara Sev is a easy snack prepared during diwali time and not only diwali time almost all round the year.It is a perfect munchy snack any time of the year and day.I remember when we went on a tour abroad one family who traveled with us bought huge packets of Kara sev fried in coconut oil and the aroma used to spread throughout the bus.They used to share with all of us and we all of us enjoyed it through out the tour. Badam cake or burfi is a very common sweet in the Tamil household or south indian household during diwali time.My grandmom used to call it as cake and she used to make it when we used to visit her during holidays.From that time i was fond of this sweet. 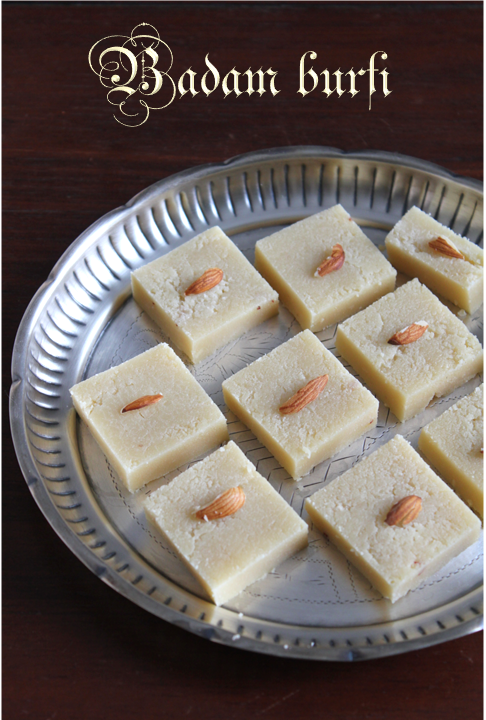 This is an all time favourite sweet in my house.I make this burfi or Badam kheer often since my daughters do not eat any nuts especially "badam".It is quiet simple to make.You just have to get the right consistency to pour in to the plate to make in to burfi's. Gulab jamun is most peoples favourite sweet that is why it is so common in all the parties and festivities.It is easy to make that is another reason for it to part of any menu.My kids love it and i often make it with the MTR gulab jamun mix which makes it even more simple.I feel it is very light and soft so we all love it. 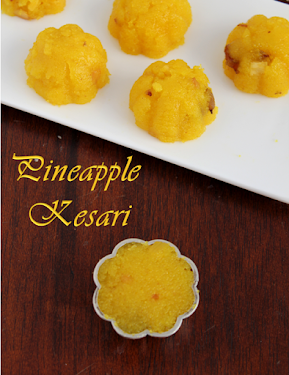 Today i have tried it with khoya because it is festival time and not to use the ready made mix.It came out pretty well. thrilling to see the perfect little rounds coming out fried. Little care here and there, and I think you will get decent boondhis. 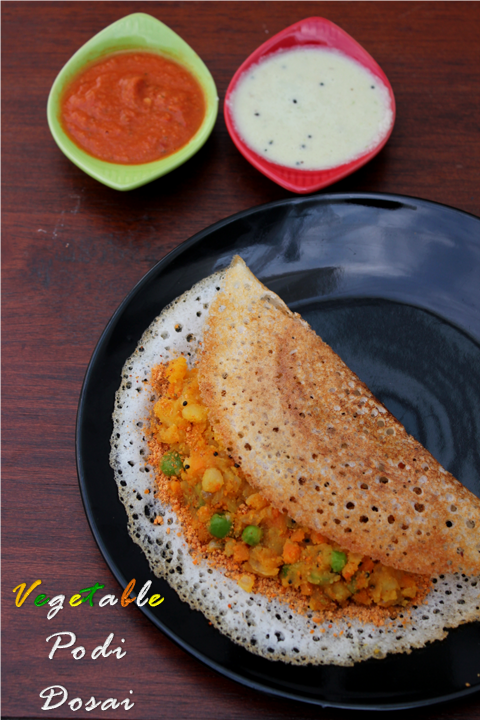 I always refer to Meenkashi ammals cook book for traditional recipes and of course did the same for this recipe too. 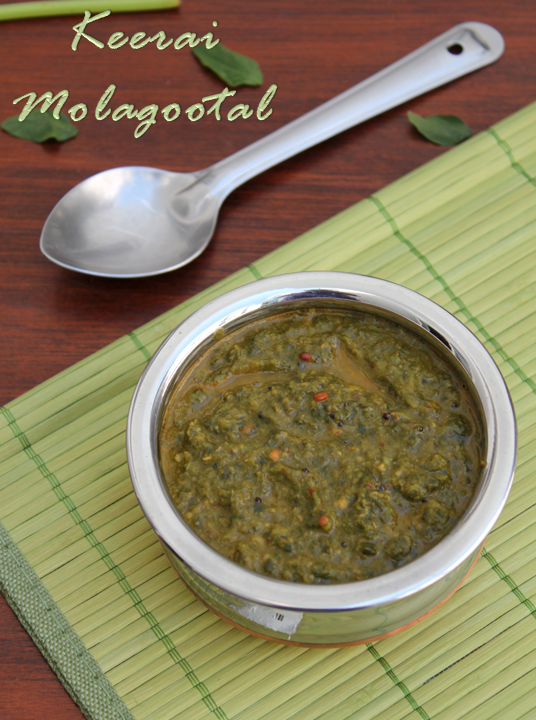 I have been making Keerai on Sundays when the kids are at home,otherwise they don't get to eat greens other than palak(palak paneer or corn and palak) which i make for chapathis.Usually i make keerai masiyal or keerai kootu or morkeerai this time i thought i will try this keerai molagootal which is a palakkad recipe.My husband is fond of palakkad food since he grew up in Bombay and he had lot of Palakkad friends.This keerai Molagootal can be the main dish or gravy goes along with rice as well as chapathis if you don't mind the south Indian flavour. 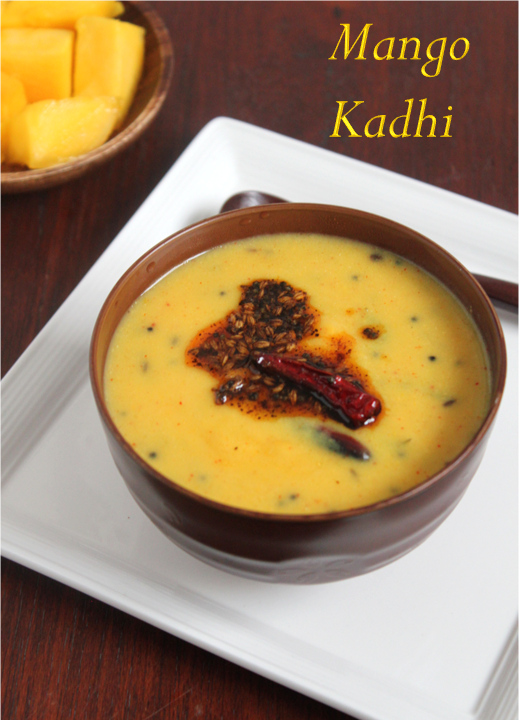 Badam Kheer is a very easy and rich payasam or kheer made with almond paste and milk.I make this often especially during navrathri. i make a lot to give people when they come home. 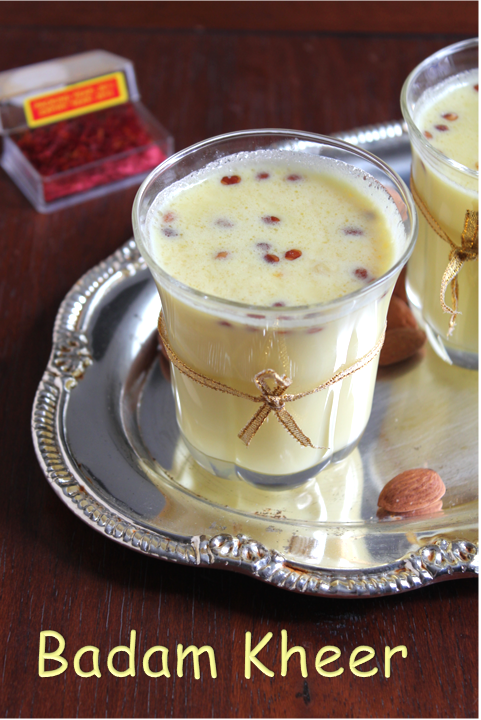 My mother also used to make it in bulk and store in the refrigerator during navrathri(i do the same).It is one of the tasty payasam that i like.I like it cold and hot, it tastes very good both ways.It is perfect drink to offer during festivals. 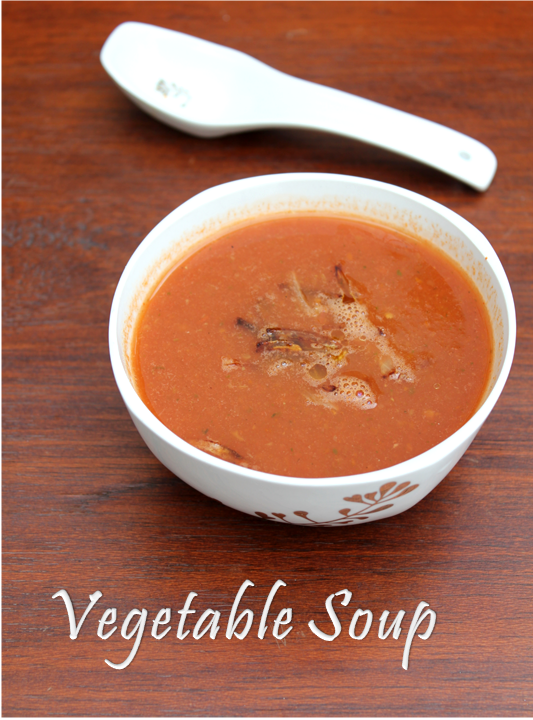 I have been making this soup quiet often now for two reasons one is all of us like to have a soup and second is i am trying all ways possible to improve my Hemoglobin so trying to include all kinds of food that will improve my hemoglobin. 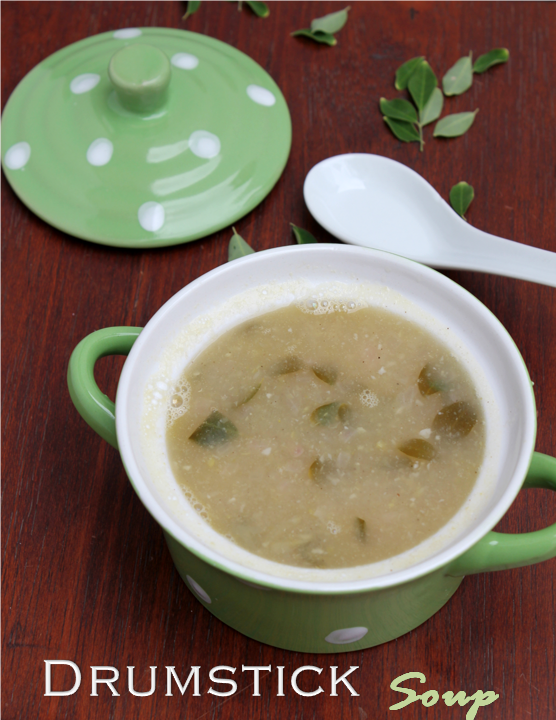 My husbands Aunt(athai) advised me to have this soup regularly and she gave me this recipe too.I have included the main vegetables you can add some vegetables of your choice and taste.It does not have to always healthy right!!! 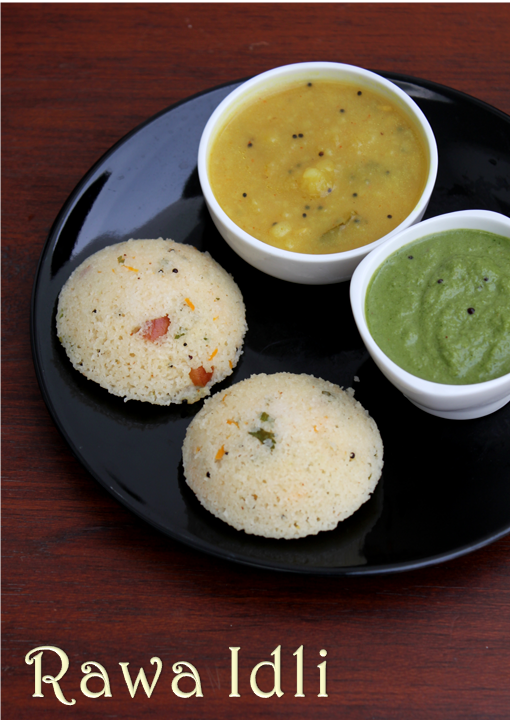 Rawa Idli is a variation of the normal idlis.They are made with rawa or sooji.It originated from the MTR restaurant in Banglore.It is popular dish in Karnataka and served in all the udipi restaurants.It is served with Potato Sagu and Coriander and coconut chutney. 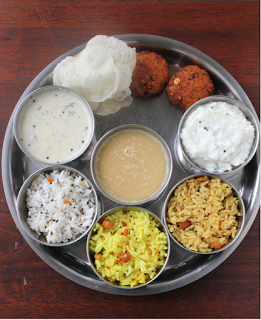 Even today it is popular in Banglore and rest of Karnataka.I always make a visit to the MTR restaurant whenever i go to Banglore.My kids also love Rawa idli and we have it once in a while for dinner.I sometimes buy the ready made mix from MTR and make rawa idlis.But any day the idlis made at home are very soft and tasty. 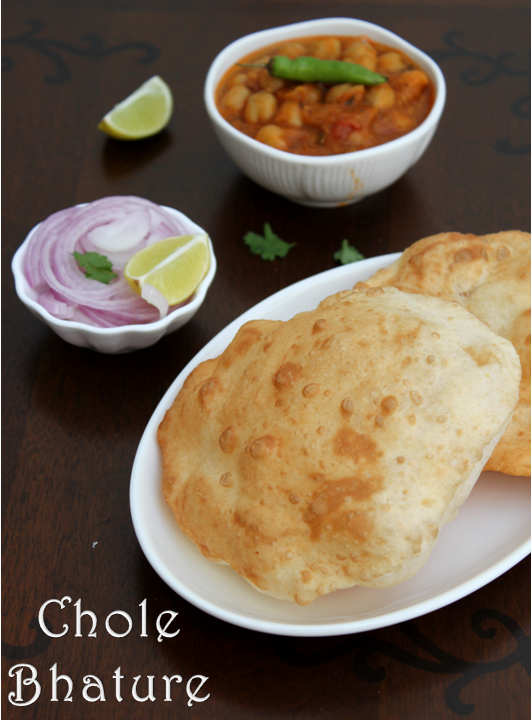 Bhatura or Bhature is a deep fried Indian bread very popular in north India and especially in Punjab.It is very similar to poori which is made with wheat flour but the bhaturas are made with Maida(refined fllour). 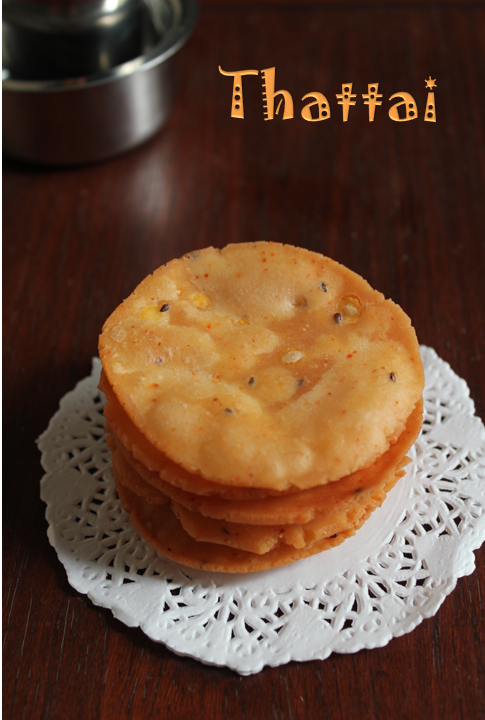 It is usually served with Channa masala or Chole,some Sliced onions and lemon wedges.It is a very tasty dish and Most kids would love it.In restaurants they make a plate size Large Poori but at home people make half the size of it. 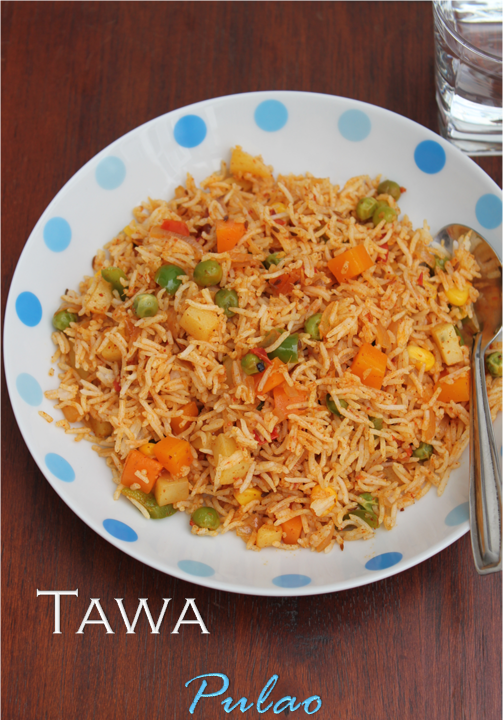 Tawa Pulao is a popular street food in Mumbai(Bombay).As the name suggests it is made on the tawa used to make Pav Bhaji.Tawa pulao is usually made with Left over rice.Left over rice is tossed with few vegetables and masalas and made in to a very tasty masala rice. 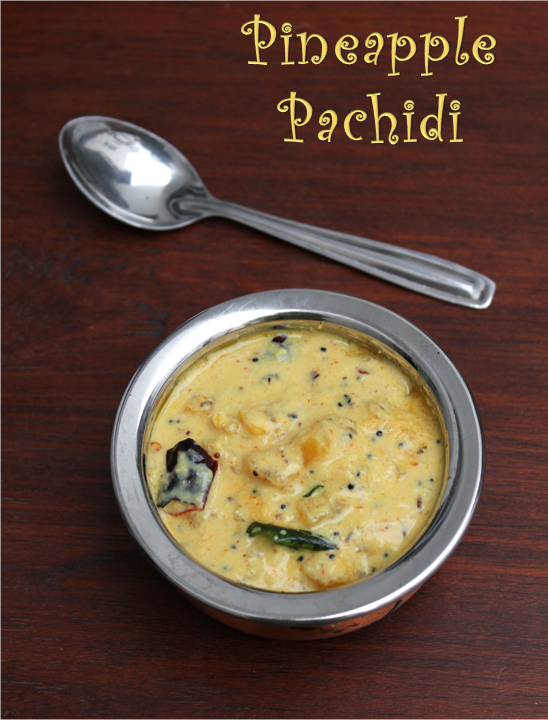 It is a sweet and sour tangy pachidi with the pineapple flavour and chunky pieces of Pineapple.I love pineapple and those who love the flavour will really enjoy the pachidi.. 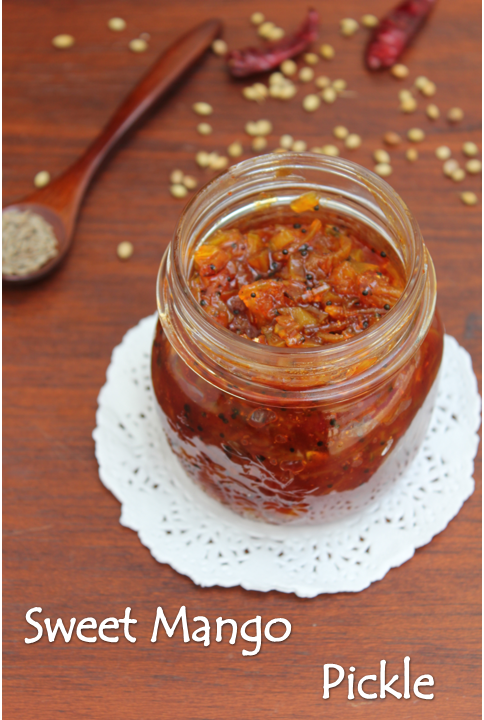 This sweet mango pickle is a very tasty sweet and sour pickle made with small chunky pieces of mango.I got introduced to this kind of sweet pickle through my Gujarathi friend from school days.She used to bring these sweet and sour pickle to school along with her Teplas and i used to take my sambar sadam with vegetable,invariably we used to grab each others tiffin box and enjoy the food!!!! My kids are also fond of these sweet and sour pickle, so i make it often and enjoy it with some hot methi teplas and palak rotis. 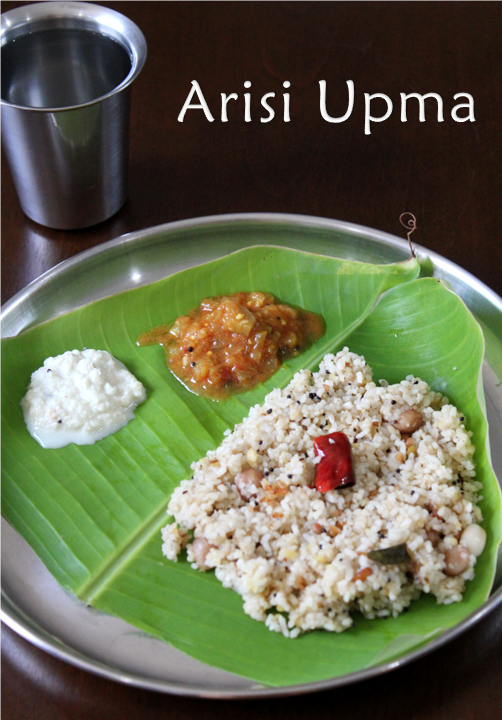 Arisi upma or Rice upma is made with raw rice brokens, tur dhal and spices.It is a traditional dish i learnt from my mother.Once in a while we like to have this upma for dinner as chappathis get boring.I have done it in the traditional way but now a days you get these raw rice brokens which also works fine and it is much faster than this procedure.Finally you add a tsp of coconut oil on top which makes it very aromatic.My mother used to add a handfull of peanuts to the upma which makes it tastier.Anyway the upma does not have much proteins so adding a few peanuts is really good and tasty. Doodhi Halwa is a north Indian sweet very similar to Carrot,Beet root or Pumpkin Halwa.People usually make it in winter in the north.There are few ways of making this halwa you can either reduce milk and cook the doodhi in it and make the halwa which takes a little time otherwise you can use mawa(khoya)or condensed milk which reduces time and gives a good texture.I have used condensed milk and made the halwa. 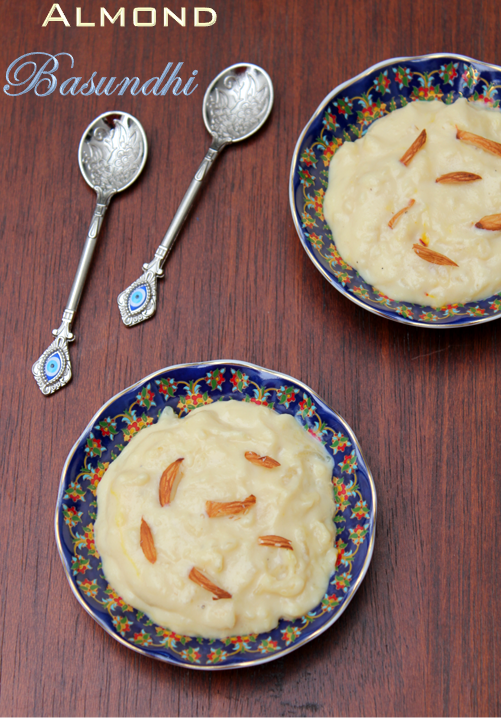 Add a Extra Spoon of Ghee and enjoy the Halwa!!!! 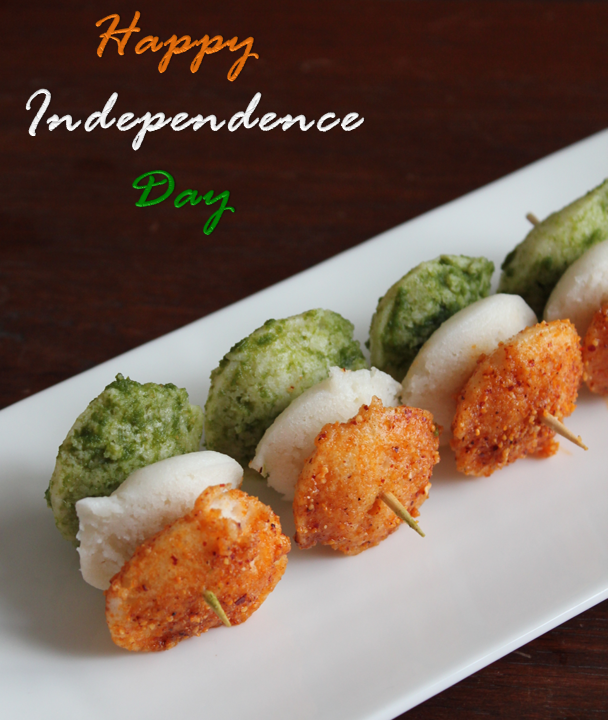 I just tried these flavoured idlis for fun it looked very cute and i thought let me post it for Independence day!I have already posted Podi idli or Chilly idli which you make with Dosai milagai podi.You can make the green colour flavour by either using Karuvepillai podi or Green Chutney.I used Green chutney only. 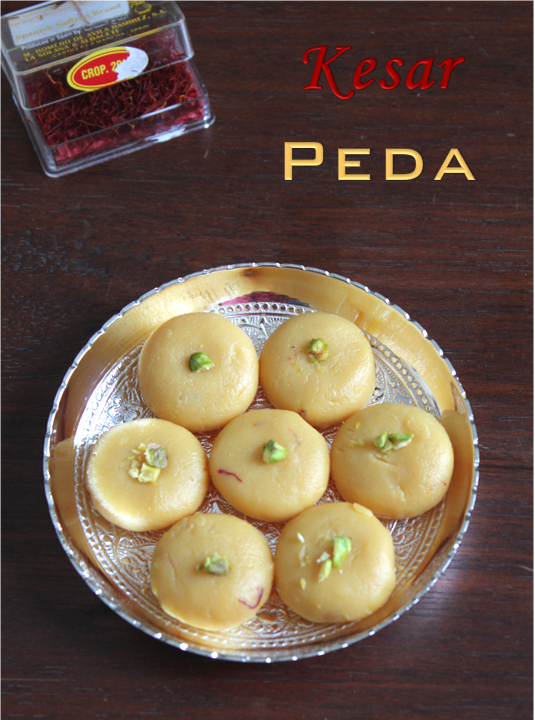 Milk peda or dhoodh peda is a very famous milk sweet in Northern India. 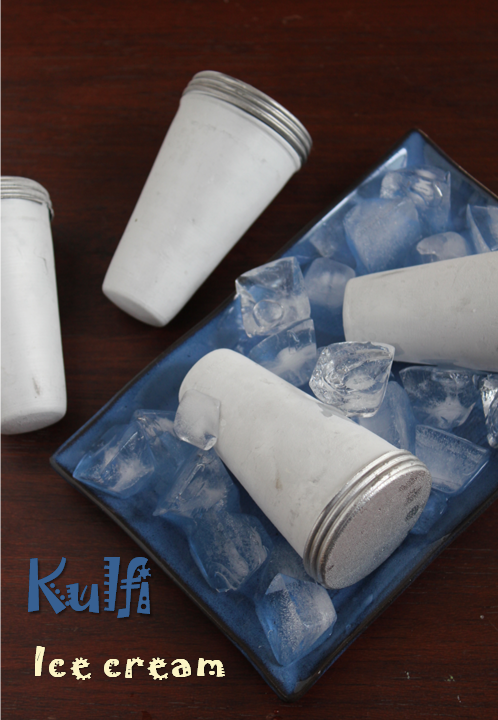 Traditionally it is made condensing milk and then adding sugar and then softening them in to pedas.But now a days with the availability of milk products it is made easier.There are few methods of making it and i adopted this method.. 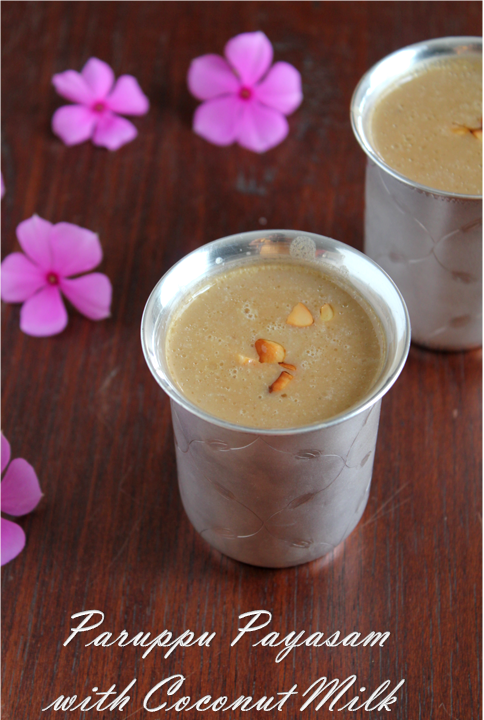 I decided to make a simple vella payasam today for Aadi vellikizhamai since vella payasam is(amman) ambal's favourite neivedhyam.My mother used to make this payasam during aadi vellikizhamai and during navrathri also.Let us see how i made it. 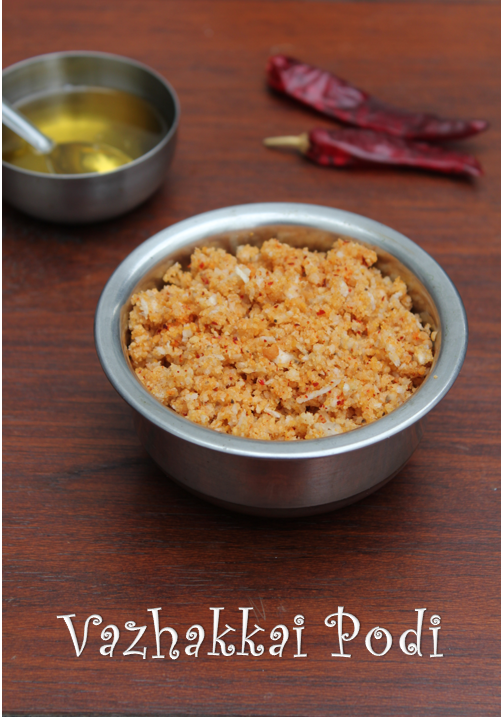 Vazhakkai Podi is a rare and traditional recipe my grandmom used to make.It is slightly different from curry and the regular podis.It can be had with sambar rice as an accompaniment, as vegetable and of course had as a podi with hot rice and gingelly oil or ghee and last but not the least it is a great accompaniment for curd rice.It is a very rare recipe so i thought i will record it. 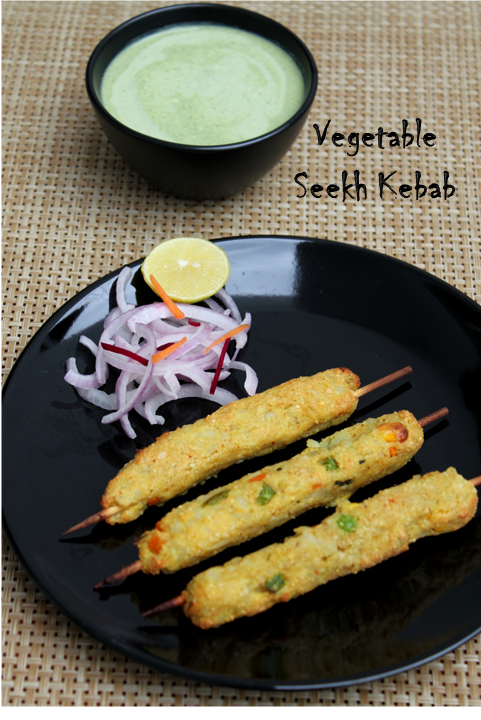 Seekh Kababs or Kebabs are usually made with minced meat and spices but this is a vegetarian Kebab made with mashed vegetables,spices and cashew nut powder and cooked in the similar way.If you have a Tandoor you can surely make it in that,otherwise you can bake it in the oven or grill it or you can simple toast it on a hot tawa.It is served with sliced onions lime juice and mint chutney with curd.All of us love Vegetable seekh Kebab and whenever we go out for dinner to a North Indian restaurant or Kebab place this kebab is our first choice!!! 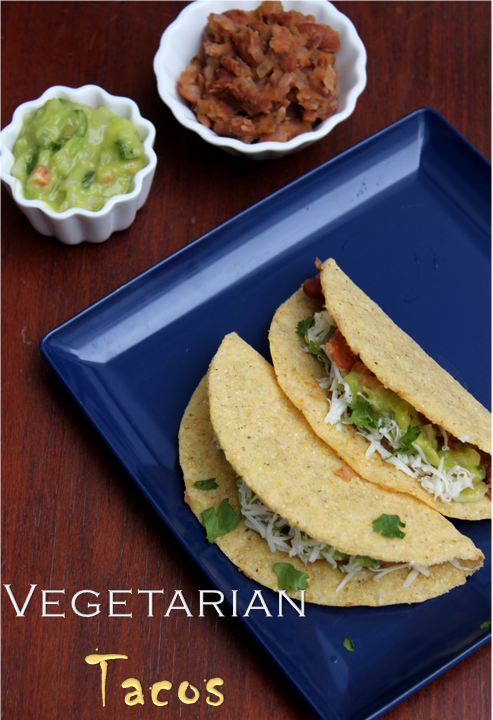 I had these store bought Tacos recently.I was going through various recipes for a vegetarian filling,finally found this one i am going to share with you.I thought it was very healthy and nutritious one too.Actually you can invent your own filling according to your taste. 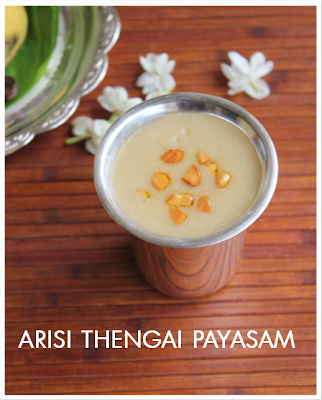 I have already posted Thengai pal Payasam/Aadi pandigai Recipe this is another one in which you do not want to make full Thengai pal you can make this paruppu payasam with coconut milk.Today being aadi masa pirappu i made it and sharing the recipe with you all. I have been looking for iron rich recipes these days and in the process found this soup.I have tasted a light version of this soup in some restaurants but never tried it.I decided to make this today and going through a lot of recipes on various blogs.Ultimately i made my own version of it.While picking drumsticks for a soup let them be little thick and pulpy. 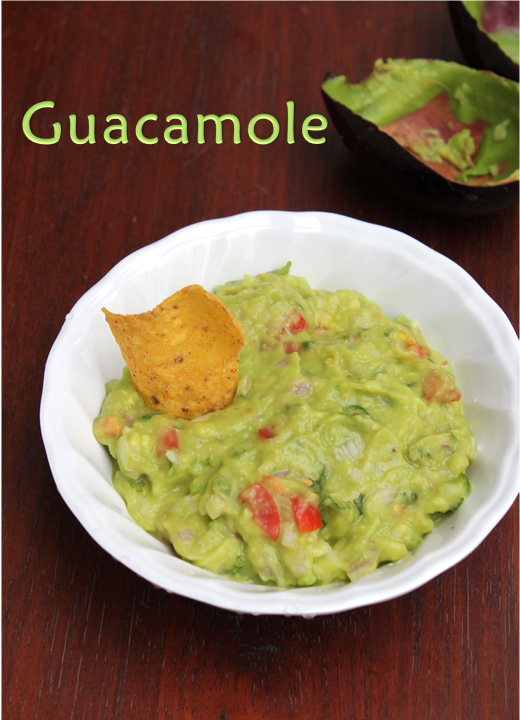 Guacomole is a dip made from ripened avacaodo.It originated in mexico.It is a very simple,healthy and non cheesy recipe with few ingredients. I was not very familiar with avacado but as my kids are growing up i have to keep innovating new recipes. You choose a ripened avacado by pressing the fruit and if it is a little soft on the outside and which has a dark colour skin that is when it is rightly ripened. I came to know of this mango khadi very recently.Even in gujarthi and rajasthani restaurants i have only tasted normal khadi.I saw it recently in a blog and i love mangoes so tried it immediately.It tasted yumm and it is even better than the normal khadi.It will go excellently well with palak roti and masala theplas.Last it tastes great with rice and ghee.